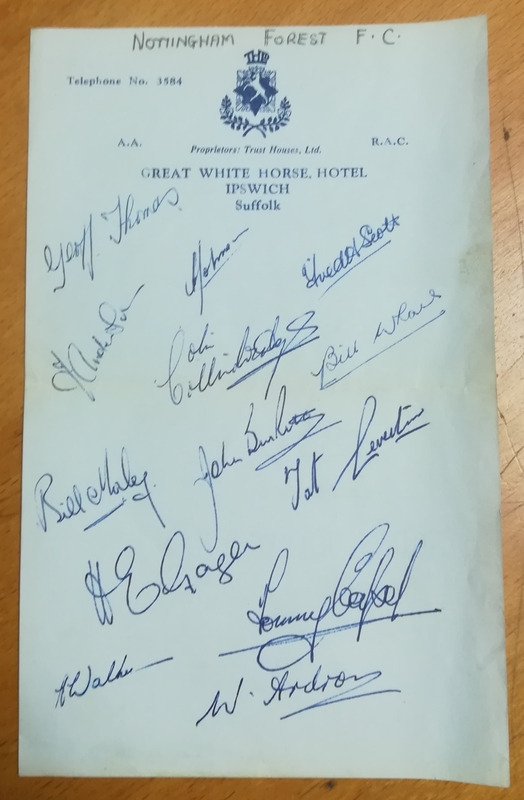 This headed paper from the now-defunct Great White Horse Hotel in Ipswich was signed by 13 members of Nottingham Forest, who recorded a 3 – 1 win over The Tractor Boys on their way to claiming the Third Division South title in 1950/51. That season marked the start of something of a resurgence for Forest, who scored a record 110 goals and finished 6 points clear at the top of the table to join Division Two. They would go on to regain First Division status in 1957.